The members of Empire Global Ventures have advised Fortune 500 companies, national central banks, senior elected officials, and nongovernmental organizations across three continents. We marshal this expertise in business, government, and law to structure innovative solutions for our clients confronting the challenges and complexities of the global economy. Dr. Natapoff is President of Empire Global Ventures LLC. He has wide experience in international economics, trade, investment, and international business development. As the founder and CEO of his own international economics and business-consulting firm for a decade, his clients included numerous private sector companies as well as Fortune 500 firms. Dr. Natapoff previously served as Senior Advisor to the Governor of New York State for International Commerce, Deputy Commissioner of NYS Department of Economic Development for International and Senior Vice President for International Economic Development for the Empire State Development Corporation. Dr. Natapoff has worked with multiple government agencies in five countries in the areas of international trade & investment, business development and monetary policy. His experience includes positions at the U.S. Department of Commerce, the European Central Bank, the German Bundesbank, and the state of Massachusetts. He is a member of the Board of Directors of the United Nations Development Corporation and has published numerous articles on international economic issues, including international monetary policy, technology development, EU institutional development, as well as U.S. domestic politics. Dr. Natapoff received his B.A./M.A. in Modern History from Balliol College, Oxford University and his Ph.D in political science from the George Washington University in Washington D.C. He speaks French and German, and lives in New York with his wife and two children. LaPorsche Jackson is EGV’s Operations Director. She has spent her career handling high-level logistics and managing complicated work streams. She earned her Bachelor of Science degree in Communications from St. John’s University. It was during her undergraduate years when she began to pursue a television production career. While interning at the The Rachel Ray Show and CBS The Early Show, LaPorsche began to learn the ins and outs of the television industry. Upon graduating, she went on to work in television production offices. Assisting the day to day needs of putting television shows together from pre-production to wrap trained LaPorsche well in project management. LaPorsche held staff positions on shows which appeared on HBO and Starz networks. LaPorsche held the position of Production Secretary with various television shows for studios including NBC, ABC and Sony Entertainment. Her responsibilities included managing distribution for the entire cast and crew, being the liaison between the production staff and the network executives, and coordinating travel for cast members. LaPorsche has a passion for production and planning. 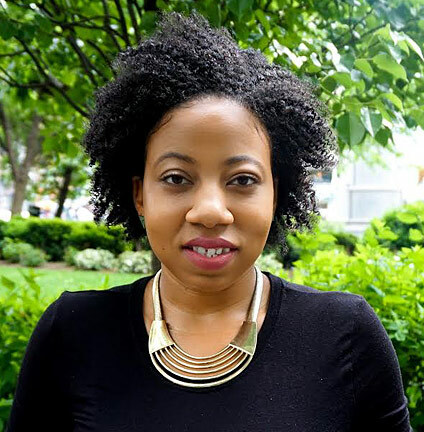 Jasmine Stephens is Empire Global Venture’s Deputy Director of Operations. Jasmine has years of dedicated operations and project management experience in the retail, manufacturing, and fitness sectors. Jasmine is passionate about international business, particularly in the luxury and lifestyle sectors.She moved overseas to South Korea and Australia, where she worked in the performing arts. Upon returning to the U.S., Jasmine continued to explore and develop knowledge in fashion, styling, and retailing for internationally well known and specialty retailers including J. Crew. Jasmine worked in project management for S & S Acrylics Inc, an acrylic manufacturing company, where she was the liaison between the firm’s engineers and clients. Dedicated to discovering and implementing the safest and most productive manufacturing methods, she helped oversee the entire production process, from product design through development and logistics. Jasmine speaks Korean, and currently lives in New York City. Todd Adelman provides over 20 years of perspective from building companies that leverage technical innovations. Todd has advised company presidents and investors in industries that include software, IT infrastructure and energy-related technologies. Todd has served in financial, marketing and development roles on several management teams that have led to successful acquisitions valued at over $50 million. Todd works with both emerging and established companies to utilize information technology for new business initiatives, customer engagement, increased efficiency and revenue growth. Todd evaluates innovative business models for their ability to leverage IT resources and provide value. 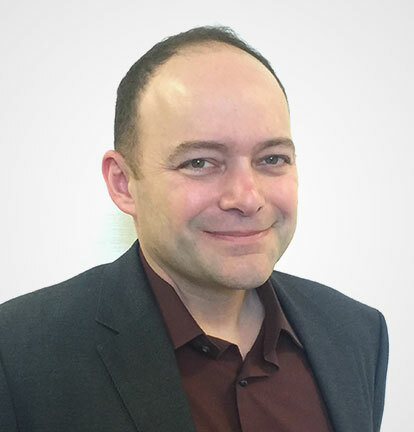 Prior to Axispoint, Todd co-founded Secure Technology Group in Boston to address IT hosted solution needs for private companies, local towns and public safety departments. In a consulting capacity, he also provided development services for energy storage and efficiency firms and a range of utility scale solar projects. Todd’s direct experience includes roles in customer relationship management, marketing decision support and geographic information system software companies. 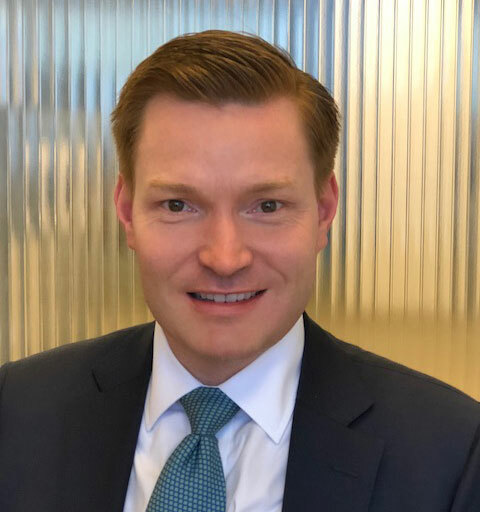 Todd was an early director at Riverside Management Group, a merchant banking boutique founded to provide financial advisory services to companies, funds and entrepreneurs. Initial firm projects included advisory services to the Republic of Iceland. Todd has an MBA in technology and innovation from Rensselaer Polytechnic Institute. He also serves as the Mayor’s special appointee for the Northern Valley Greenway project in Bergen County, NJ. Chase Emanuel joins the Empire Global Ventures team as its Product and Innovation Advisor. 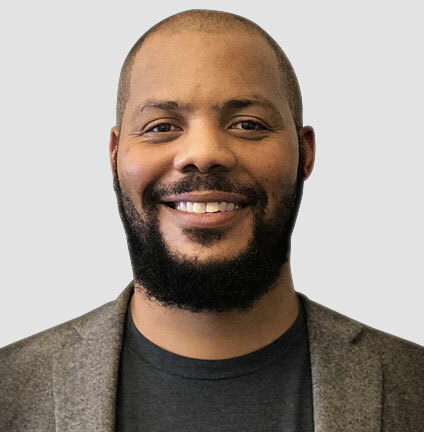 Over the past five years, he has managed technology-based partnerships for institutions across the New York City startup ecosystem, including the NYC Mayor’s Office of Tech + Innovation, The Knowledge House, and Galvanize NYC. Chase has also secured funding for many innovation-based companies and for public private partnerships. When he is not structuring deals, Chase is hosting tech conferences, pitch competitions, and VC breakfasts, serving as a central connector between early stage founders, technologists, and investors. Chase is impassioned by the innovation community of New York City, and is committed to helping it thrive in its full diversity. Before making his foray into the startup world, Chase was a D1 swimmer at the University of Virginia, where he earned a B.A. in sociology. He is a native New Yorker, Harlem resident, and a graduate of the Horace Mann School. Chase is also a Techstars Startup Weekend pitch competition winner, an Echoing Green Fellowship semi-finalist, and a Pepsi Refresh Grant award winner. 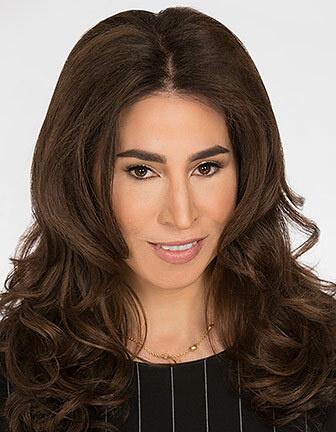 Andrea Greeven Douzet has a multi-decade career in business development, specializing in strategic partnerships, sales, advertising and marketing for luxury and businesses based both in New York City and the Hamptons. At Empire Global Ventures, Ms. Greeven Douzet directs all luxury and lifestyle client work, bringing her considerable experience to the benefit of this discerning clientele. Previously, she served as Publisher at Manhattan, Beach and the Charity Datebook magazines, all part of the Modern Luxury media group. In prior positions, she worked at InStyle magazine as Fashion and Accessories Director for Sales, Greengale Media (formerly Niche Media) as Luxury Director, the Plum Network, Louise Blouin Media and ArtInfo.com. In her philanthropic commitments, she serves on the US board of Doctors of the World and on the advisory committee for the Parrish Art Museum. Additionally, Ms. Greeven Douzet supports various charities through sponsorship acquisition assistance, including The Bob Woodruff Foundation, the VOSS Foundation, the New York Botanical Gardens, Solving Kids Cancer, Dancers For Good/Actors Guild fund for Dancers and HIFF/Hamptons International Film Festival. Ms. Greeven Douzet received her MFA in painting from the New York Academy of Art and a BA from Duke University. While a native New Yorker, she has spent years living abroad and speaks French, Italian and Portuguese. She lives in Manhattan with her twin daughters and husband, an entrepreneur and co-founder of MyOllie.com. Giselle Fernandez, is a five-time Emmy award winning journalist, producer, filmmaker and Latin media marketing entrepreneur. She is the creator and host of the award-winning online interview series, “Big Shots,” for Emmis Publishing’s, Los Angeles Magazine. In additional to directing Empire Global Ventures’s Media and Entertainment practice, Fernandez also advises Empire Global Ventures’s clients on US-Mexico business relations. Fernandez is President of her own production, management and consulting company which focuses on Latin-themed productions for both English and Spanish language distribution. 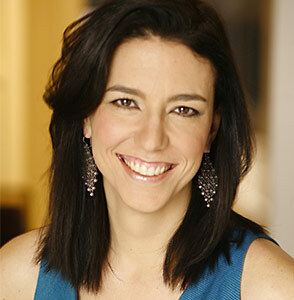 In addition, she consults with Fortune 500 companies on marketing strategies to the Latino consumer. Fernandez has worked in cross-border business and media for decades. 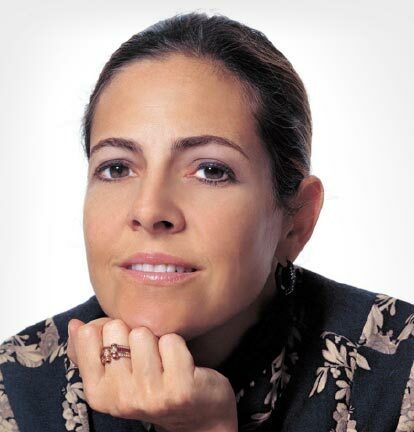 In her former role as President and Co-owner of Dynamic Direct Marketing, a fashion line of women’s slimming garments that are available in leading chains in both Mexico and the US, Fernandez oversaw all marketing, branding, celebrity endorsements and merchandising of the line and its expansion. Prior to that, in her previous capacity as former Managing Director of Creative World Talent Management, Fernandez oversaw a diverse global media operation with special emphasis in Latin America and the U.S. Latin market. Born in Mexico and raised in Southern California, Fernandez graduated from Sacramento State University with a Bachelor of Arts in Journalism and Government. Fernandez currently serves on numerous boards of directors, including Banc of California’s Hispanic Advisory board, President Barack Obama’s Futuro Fund, the John F. Kennedy Center for Performing Arts, City Year (Los Angeles), Excelencia in Education, and the Hispanic Heritage Foundation. She is the recipient of multiple awards including the 2014 Imagen Award for Best Online Interview Series, the Golden Mike Foundation’s 2014 Lifetime Achievement Award for Broadcasting, the Legislative Hispanic Caucus Hispanic Spirit Award and, most recently, she has been inducted to the Latina Women’s Museum in Sacramento honoring outstanding Latinas in California. Alexandra Lebenthal is Empire Global Ventures’ Senior Advisor, Capital Markets where she guides clients seeking funding. She is the former President and CEO of the municipal bond franchise Lebenthal & Company. Founded by her grandparents, she joined Lebenthal & Company in 1988 and became President and CEO in 1995 at the age of 31. Lebenthal remained at the firm for four years after its sale and relaunched Lebenthal & Co in 2007, which she built into the number one woman-owned broker-dealer and ran until 2017. A passionate supporter of women in business, Lebenthal has received many awards and accolades including, one of New York’s 100 most influential women by Crain’s New York Business, one of the Top 50 Women in Wealth Management by Wealth Manager magazine and one of Crain’s New York Top Women-Owned Businesses; and one of Crain’s New York 50 Fastest Growing Companies . As a highly recognizable woman on Wall Street, Lebenthal has been frequently quoted in the Wall Street Journal and NY Times, as well as mainstream financial media, and has been an official CNBC contributor since 2010. She wrote her first novel, “Recessionistas”, which was published by Grand Central Publishing in August 2010 and sold to SONY Television. Lebenthal is also member of The Committee of 200, a leading organization for female business women. As a Co-founder of “The Women’s Executive Circle,” and “Women On Wall, under the auspices of United Jewish Appeal federation of NY,She has been actively involved in bringing senior level women to the upper echelons of the organization. She has been actively involved in numerous philanthropic organizations in New York, including The Rita Hayworth Alzheimer’s Association Gala, Hale House, Alzheimer’s Drug Discovery Foundation, and a member of the Advisory Council of the New York Botanical Garden. Lebenthal graduated from Princeton University in 1986 with an A.B. in history. 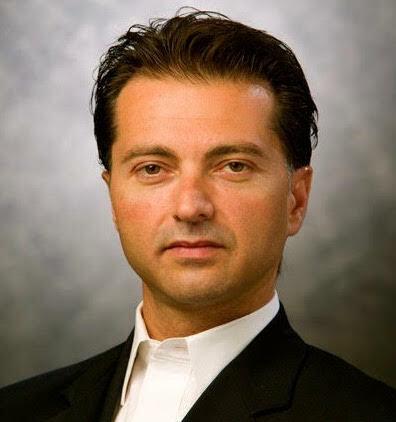 Nicholas Longano is Empire Global Venture’s Senior Director of Digital Marketing and Licensing. He is a leading technology and marketing veteran who for decades has led the creation of leading-edge technology solutions for Fortune-500 companies. He is an industry specialist in Direct to Consumer applications and marketing and has led the creation of technology-driven solutions for celebrities such as Paula Deen and Oscar De La Hoya. Nicholas revolutionized the media industry with Massive Incorporated, where as President and CMO he built the world’s first in-video game advertising network, which was later acquired by Microsoft. In 2017 AOL/Verizon identified Nicholas as one of the top thought leaders in the immersive world of mobile applications, virtual and augmented realities. Nicholas has served as the General Manager and VP or Publishing for Vivendi Universal Games, which launched such top worldwide franchises as World of Warcraft. He also worked with key partners for licensing, publishing and development of titles for Disney, Fox, Lion’s Gate and Warner Bros. His most acclaimed video games were The Simpsons Hit and Run, Lord of the Rings, Jurassic Park, The Hulk, Fast & Furious, The Thing, Van Helsing, and Cat in the Hat. Prior to entering the video game industry, Nicholas held senior marketing and management positions in the fashion and beauty industry, including General Manager and Vice President of Marketing and Development for Unilever’s Calvin Klein Cosmetics. He served as Marketing Director for Revlon’s cosmetics and fragrances business, which laid claim to the technology break-through of ColorStay. He began his career in cosmetics with L’Oreal, where he launched the Studio Line product line onto the Australian market and then oversaw all hair-color products in the United States. Before his work in the beauty industry, Nicholas licensed several top franchises on behalf of Cadbury Schweppes and launched Pepsi, Evian Spring Water and the Sunkist brands of beverages onto the Australian market. Helen Allen is Empire Global Ventures’s Senior Director of Culture and Communications. Named by Crain’s New York Business as one of the “40 Under 40 Rising Stars” in 2007, Helen Allen has used her business development, management and communications skills to provide strategic planning, marketing, public relations and creative development programs for a variety of corporations and individuals. Ms. Allen consults with clients to create strategic communications and marketing initiatives including planning, coordinating, managing and promoting media programs, extensive private and corporate events and social media programs. Clients have included: The Brooklyn Museum, BRAND U Events, Piper-Heidsieck Champagne, Charles Heidsieck Champagne, Editions Artists Books Fair, FLUX Art Fair, ICRAVE, FAILE, Purity Vodka, Jorge Otero-Pailos, Holiday House Hamptons, Bespoke Post, Hearst Brand Development, Hornblower Cruises, Rekorderlig, Mohonk Preserve, and real estate developer YoungWoo & Associates. Additionally she worked with her prior firm, Allen/Cooper Enterprises, to create communications platforms for several of Campfire’s programs including Game of Thrones, National Geographic, PBC, Inifiniti, and the Showtime hit, Shameless. 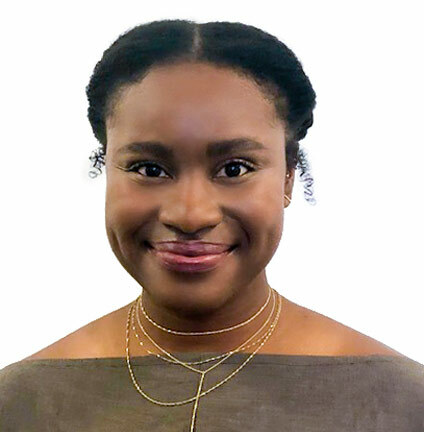 Ms. Allen has co-founded and partnered in several initiatives including Washington DC’s (e)merge art fair, a Lower East Side pop up gallery and event space – Site/109, and Allen/Cooper Enterprises -a communications and events management agency that focused on cultural and luxury lifestyle clients. 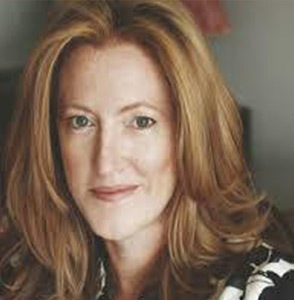 Previously, she served as executive director of Ramsay Fairs for nine years and orchestrated its U.S. market entry, as well, she conceived and was executive director of PULSE Contemporary Art Fair, which grew to become a leading contemporary art fair in New York, Miami and London under her direction. While with Ramsay Fairs, Allen also consulted on the establishment of the internationally renowned Art Hong Kong (now Art Basel-Hong Kong). Previously, Ms. Allen held positions at several companies and leading art institutions including, Sara Meltzer Gallery (Director), Thea Westreich Art Advisory (Associate Advisor), and Christie’s Communications Department in Rome, and CHRISTIE’S Contemporary Art Departments in Rome and New York. She began her career in the Communications Department at the Metropolitan Museum of Art. Allen regularly lectures and participates locally and internationally in panel discussions about business development, entrepreneurship, marketing, and the contemporary art market at Christie’s Education, Sotheby’s Institute, NYU, the New York County Lawyers Association, The Armory Show, and Scope Art Fair, among others. She has served on boards, committees, and as a consultant to business, charitable, community, and arts organizations, among those: Ritz-Carlton Hotel Group, Chez Bushwick, Church Pension Group, St. James’ Church, iCI, The Chapin School, Project Cicero, Instituto Cervantes, Charles Cowles, Gallery, The Children’s Museum of the Arts, God’s Love We Deliver, the New York Rescue Mission, the New York Common Pantry, and SCO Family Dynamics. A native New Yorker, Allen graduated from The Chapin School. She received her BA from Duke University and a Masters from Christie’s Education/The Royal Society of Arts in London. 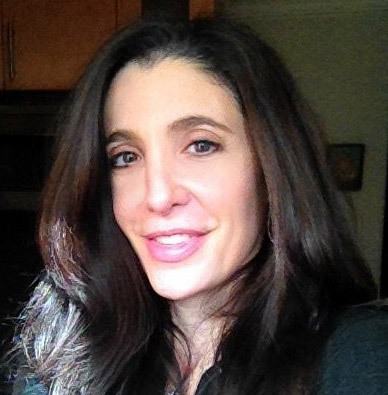 Liz Leff is Empire Global Ventures’s Senior Advisor for Biotechnology and Medical Devices. She has led an extensive career in the Life Science and Healthcare industries. She currently is the Corporate Relations Director for the National Kidney Foundation, and in recent years Ms. Leff has worked at companies which include a Management Consulting Firm, a Human Tissue Procurement company, and a Clinical Research Organization. Ms. Leff has built and strengthened countless relationships and negotiated multi-national revenue generating contracts for pharmaceutical companies, biotechnology companies, molecular diagnostic companies, and medical device companies. Ms. Leff has in-depth experience in the area of biotechnology project management. She has led and managed numerous multi-million dollar projects including the overseeing of complex human tissue and blood sample projects which involved negotiating contracts and pricing structures, managing aggressive timelines, and producing ahead-of-schedule deliverables. In addition, she has been instrumental in facilitating customer goals for research and development, diagnostic discovery programs, and biomarker research while demonstrating the ability to propose alternative solutions to complex requests. Ms. Leff spent 10 years working in various roles at Pfizer Inc. which included leading a multi-year technology management initiative focused in the area of Managed Care. She designed, developed, and implemented a customized suite of tools that was successfully adopted by the Managed Care Organization and other internal groups, which created an unprecedented awareness to the Pfizer organization of the complexities of the Managed Care industry. Ms. Leff received a BA in Political Science and Business from the University of Denver. 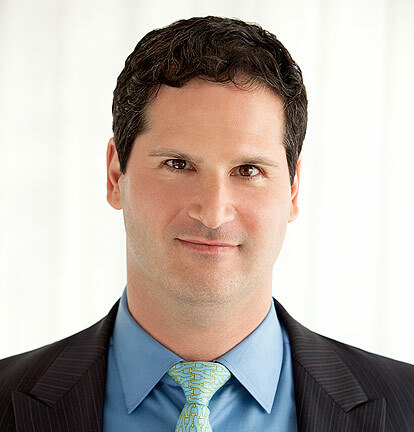 Nick Schmit serves as Empire Global Ventures’ Senior Director of International Business and Diplomacy. For nearly 15 years, he has served at the nexus of U.S foreign relations, government relations, and private industry. As the Assistant Chief of Protocol for Secretary Hillary Clinton and Secretary John Kerry, Schmit held a role equivalent to Deputy Assistant Secretary of State of the United States. Understanding the diplomatic thread that runs through international business lies at the core of Nick’s expertise. Nick led the Diplomatic Partnership Division for the State Department, which engaged with nearly 200 foreign ambassadors serving their countries in Washington, D.C. He is a master of protocol who intimately knows that setting the stage for a productive dialogue between senior U.S. officials and foreign governments requires learning more than the right flag and proper greeting. For the past decade, he has served presidents and secretaries of state in public and private roles to advance American interests and global development issues abroad. He serves as expert on international affairs and protocol topics for various media, including Andrea Mitchell Reports on MSNBC. Schmit developed a public-private partnership strategy for the State Department, creating nine Experience America trips to promote international business and investment opportunities by introducing foreign ambassadors to top business executives in Miami, Seattle, San Francisco, Houston, and Boston. His work has taken him around the globe, giving him a unique understanding of the cultural nuances and critical customs that can make or break business relationships. He has operated extensively in every major region of the world, including in the Middle East, Europe, Asia, and Africa. Previously, Schmit served in several leadership roles for the Clinton Foundation, including managing the attendee experience of over 100 current and former Heads of State, high-level donors, hundreds of leading global CEOs and other executives, and celebrity members at the annual Clinton Global Initiative four-day conference. Nick holds a B.A. from the University of North Dakota, where he fostered his knack for numbers, enthusiasm for foreign affairs, and appreciation for relationships forged over a good meal. 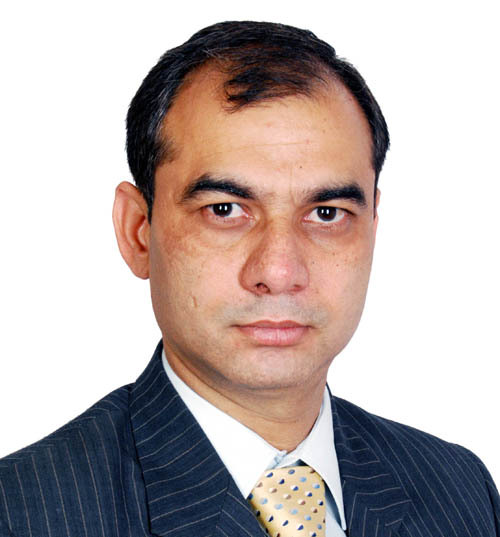 Kaviraj Singh is the Managing Director, India for Empire Global Ventures LLC. Mr. Singh is also a founding partner of Trustman & Co, a full service law firm based at New Delhi, India. He practices in the area of foreign investments by regularly advising multinational corporations on establishing and doing business in India. Mr. Singh has also directed New York State’s international trade and investment promotion efforts in India. Mr. Singh was appointed Emeritus Chapter Chairman of the New York State Bar Association, International Section in recognition of his contributions as India Chapter Chairman. He was also nominated by the Honorable Chief Minister of Delhi, India to the governing body of Aurbindo College under the University of Delhi. Mr. Singh received a law degree from the University of Delhi and has completed post graduate coursework in international trade.